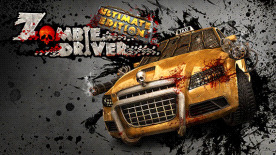 Zombie Driver HD original soundtrack, created by Pawel Stelmach, featuring 20 compelling music tracks. Experience two apocalyptic, insane vehicles along with a new Slaughter mode arena that will test your driving skills to the maximum. Download this additional tourney for the Blood Race mode and race with your opponents on islands, bridges and in ruins of an ancient civilization.